Maybe you have a love for radio, a great idea or a blog you want to grow, and pod casting is an excellent method to explore those passions. Amateur radio and podcasting requires good sound quality, or users will hear all that outside noise in your home. Especially if you purchase a high-quality microphone for your studio. That drop in quality can hurt amateur podcasters looking to break into the professional scene. Good recording equipment will get pricey, but creating a space is affordable thanks to acoustic foam panels. Sound deadening foam is a must when you’re creating an environment for podcast recording. It’s crucial to provide a space devoid of excess noise and echo, so you have a clean audio track to work with. Sound deadening foam panels can absorb all of that sound and create the space you need, the challenge is finding a portion of your home you can dedicate to recording. For many people, that place exists in a closet. Order foam from Canada and save money on shipping. 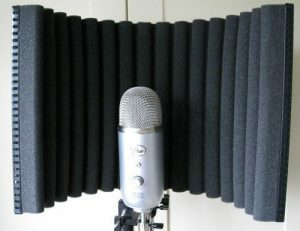 Eggcrate foam is your most affordable option, and excellent for beginners, but be sure you pair it with sound dampening cloth draped over the panels. Double-sided adhesive should be enough to attach the panels to the wall. Spend your money on good equipment, because that will have the biggest impact on the quality of your recording. Get a high definition microphone for recording, and professional-grade headphones you can use to review the master. Mixing equipment can be more important as you progress, but isn’t necessary in the beginning. Most people have a computer with a decent enough sound card to get started. The Foam Factory, Inc. has the largest selection of foam products shipped from their Southeast Michigan manufacturing facility.